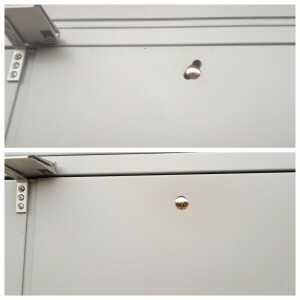 Damage repairs specialist had to repair hole in powder coated door in South West London. During Fire door installation there was drilled additional holes by mistake. 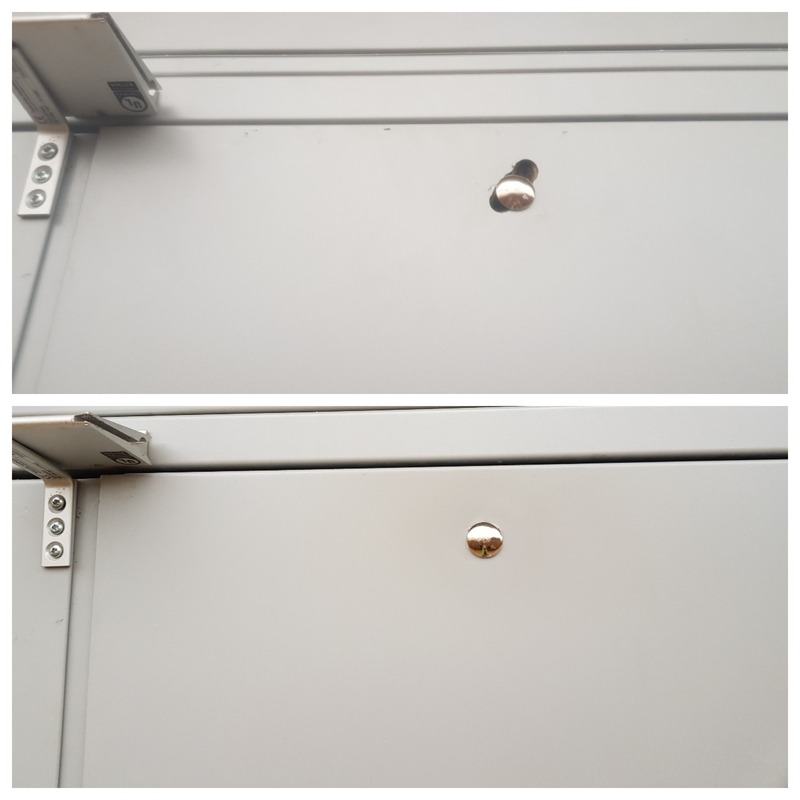 We managed to make door holes repairs invisible in South West London. Powder coated door hole repairs where completed on site without removing doors and we also made 100% color match on the day. All damage repairs carried by Royal surface repair technicians to highest quality and our free quotes are always materials included.